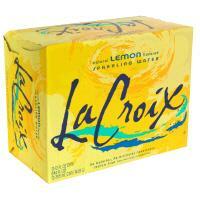 La Croix Lemon is an all time favorite. The natural flavor of lemon is infused into LaCroix Lemon Sparkling water to give it's uniquely refreshing appeal. Lemon La Croix Sparkling Water comes in a 12 Count Case.